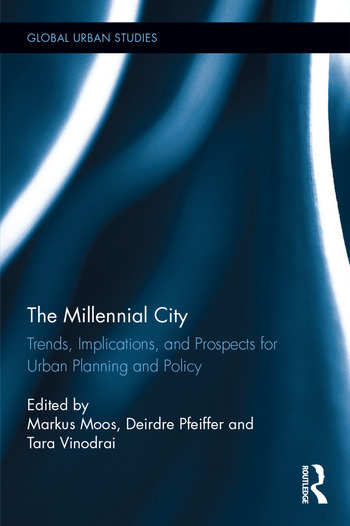 Chapter 19: What Does the March of The Millennials Mean for The Future American City? Markus Moos, PhD MCIP RPP, is Associate Professor in the School of Planning at the University of Waterloo in Canada. His research is on the economies, housing markets and social structures of cities, including youthification and the generational dimensions of urban change. Deirdre Pfeiffer, PhD AICP, is Assistant Professor in the School of Geographical Sciences & Urban Planning at Arizona State University in the U.S.A. Her research focuses on housing strategies in the U.S. relevant to an aging and diversifying society, the outcomes of the foreclosure crisis, and the relationship between suburban growth and racial equity. Tara Vinodrai, PhD, is Associate Professor in the Department of Geography & Environmental Management and the School of Environment, Enterprise, and Development at the University of Waterloo in Canada. At the core of her research program is a concern with understanding and theorizing the dynamics of contemporary economic change and the emerging and evolving geographies of the knowledge-based economy.